(SPOT.ph) It’s been said countless times that it’s starting to sound clichéd, but there’s no denying that we live in a fast-paced world. With much of our time used up by work and also by Manila’s infamous rush-hour traffic, you always have to be on the lookout for places that can offer food in a snap, without compromising quality. 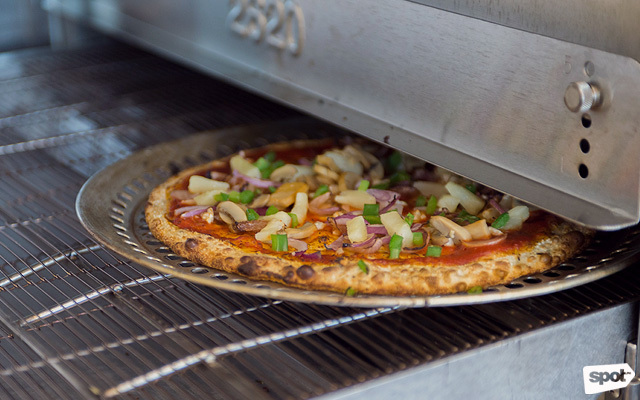 At Pizza Studio, the newest pizza parlor at Uptown Parade, your pizza will reach your table in under three minutes. Pretty amazing, right? What’s even better is that their pizza isn't anywhere near run-of-the-mill. 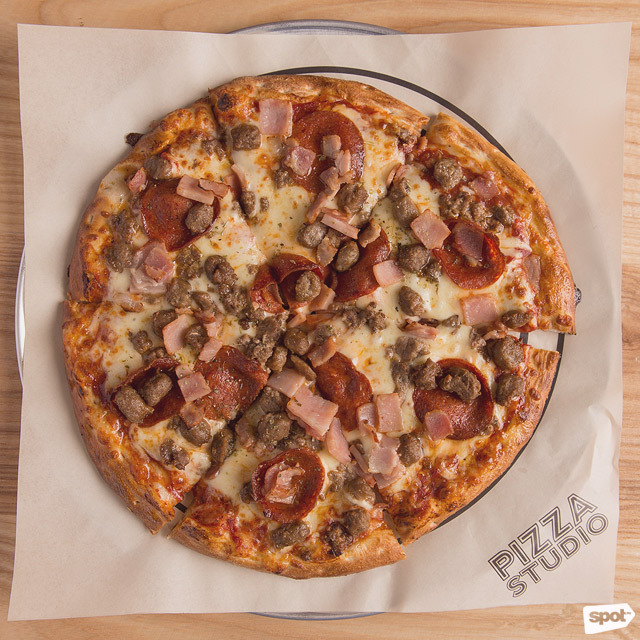 Pizza Studio is a quick-service chain from Los Angeles, California, that offers specialty flavors as well as a create-your-own pizza station. 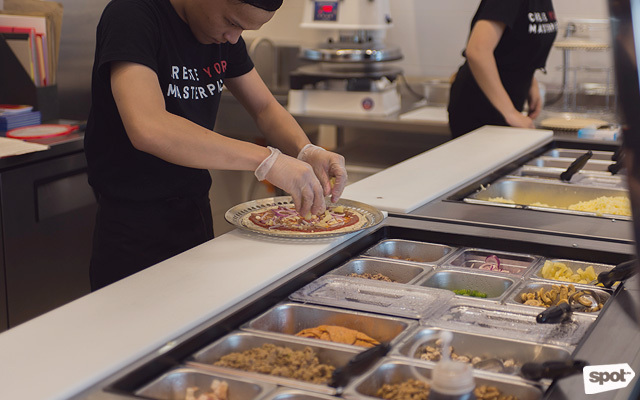 While Andrew Ong, who brought Pizza Studio to Manila, kept the DIY concept, he shares that he’d much rather highlight their pre-made pizzas. 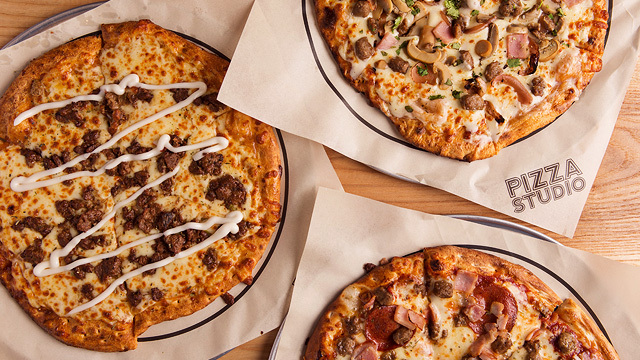 Aside from their unusual flavor combinations, what makes Pizza Studio stand out is their three-crust variants: Traditional, Rosemary Herb, and Firecracker. Pre-made pizzas already come with a specific crust, but you may opt to switch it to something else. 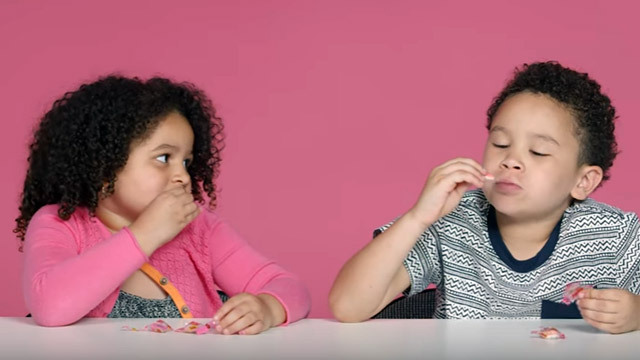 Still, there is a reason why a certain flavor combination has a specific crust. The spicy Firecracker crust, for example, levels up the Carbonara (P180/seven inches, P275/10 inches), with heat building up with every bite until it does feel like a firecracker inside your mouth. It’s the kind of punchy flavor that the creamier toppings of this pizza—mozzarella and white sauce—need. Firecracker is also used in the Sisig Pizza (P180/seven inches, P300/10 inches) because is it really sisig if your palate doesn’t get bombarded by spiciness? 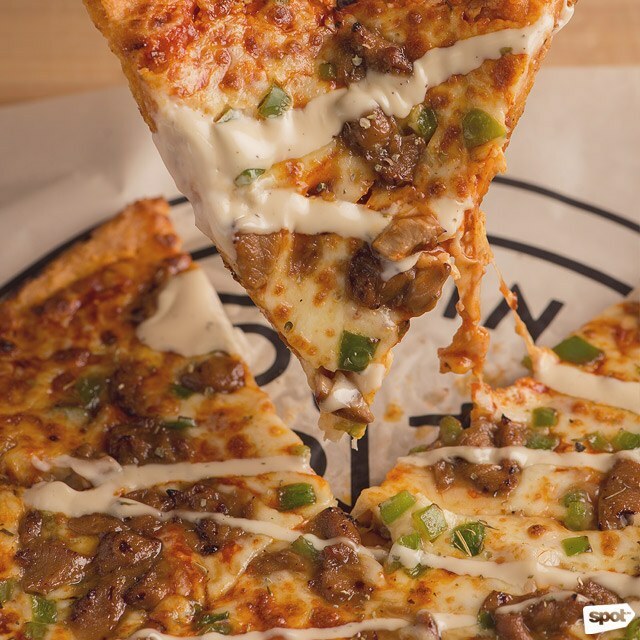 This pizza is topped with rich, mildly zesty sisig that’ll remind you of someone drizzling calamansi on it, plus mozzarella and mayonnaise. 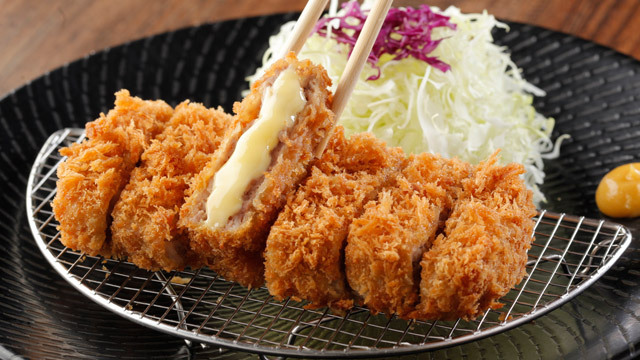 It's just like having the classic dish, but in a new form. A generous covering of buffalo-wing sauce gives the Buffalo (P180/seven inches, P275/10 inches) its intense sweet-sour-spicy flavor, with the Firecracker crust to ramp up the heat further. This one also comes topped with grilled chicken, bell peppers, and ranch dressing. 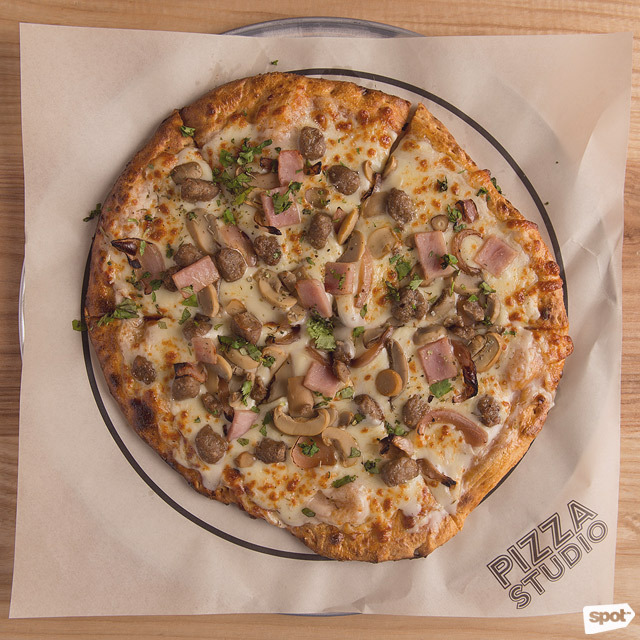 If you’d rather opt for more traditional fare, Pizza Studio’s classic flavors will still satisfy. In fact, you mustn’t leave without trying out any of the pre-made pizzas made with Traditional crust, like the all-meat The Beast (P180/seven inches, P300/10 inches), with pepperoni, bacon, ham, ground beef, and pork meatballs. 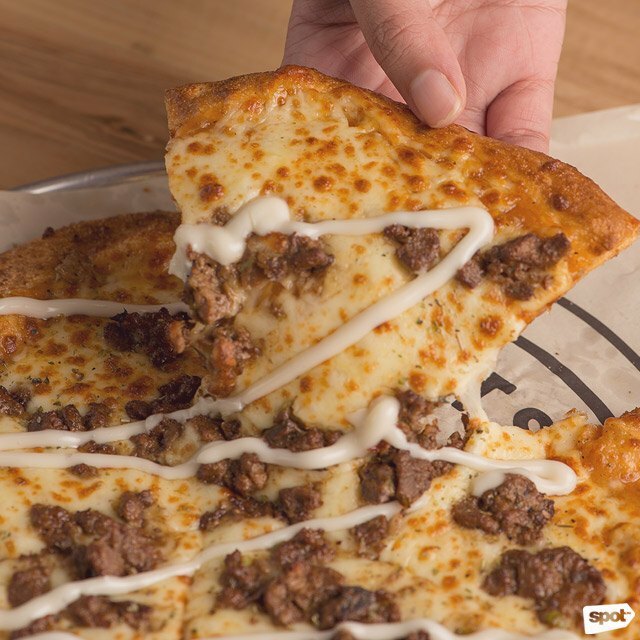 Without any spice or additional flavors, you can appreciate the New York-style crust, chewy without being too thick, and seasoned just right so it doesn’t overpower the rest of the toppings but will have you munching until the last bit of crust. 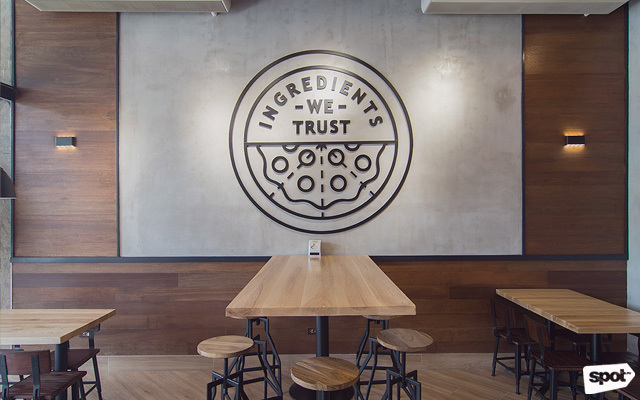 It wasn’t just the menu that Andrew switched up—he also moved away from the more industrial aesthetic of the Pizza Studio branches in the U.S. for a homier look, with lighter wood, bare concrete, and floor-to-ceiling windows to let the sunlight in. “Some people get intimidated because we look upscale,” shares Andrew. “Then they get surprised because our prices are reasonable.” Getting excellent, out-of-the-box pizza for less than P500 (and in under three minutes) is more than reasonable. 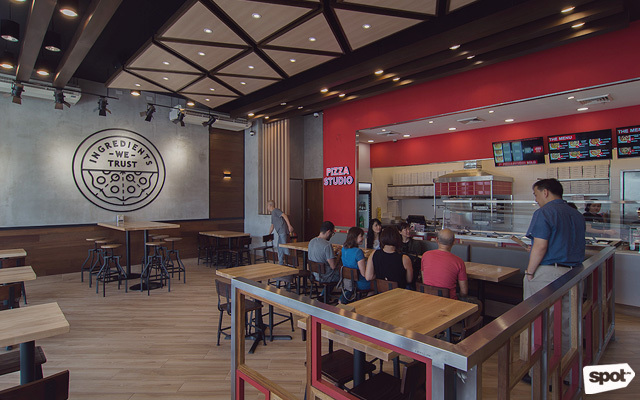 Looks like Pizza Studio is upping the fast casual pizza game.